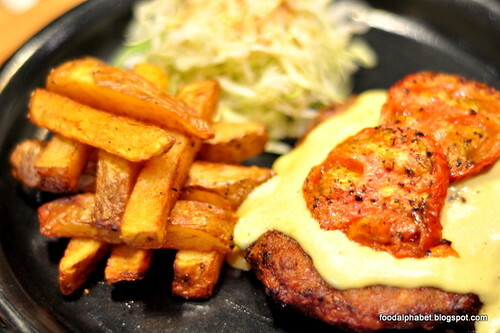 The Food Alphabet and More: Umami Hambaagu House - Wicked Japanese burger steaks! - Now Open to serve you! 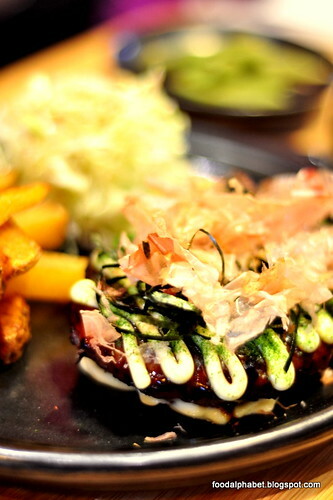 Umami Hambaagu House - Wicked Japanese burger steaks! - Now Open to serve you! 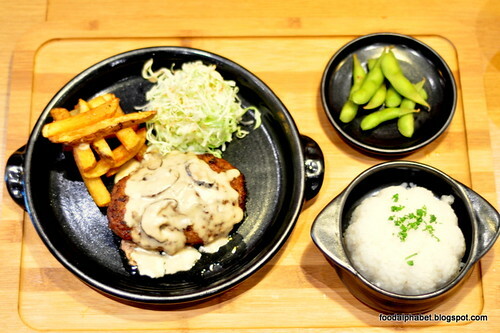 Umami Hambaagu House is not your ordinary Japanese burger steak house, it is made from the passion of creative minds, the love of food, and the strive to give you that authentic Japanese Hamburger steak experience like no other. 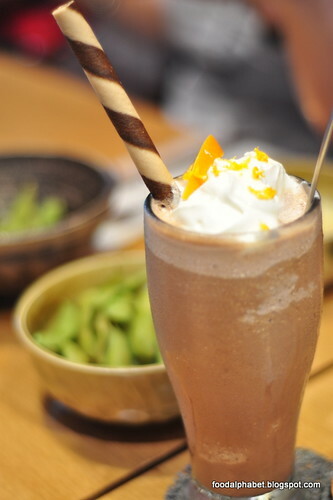 Experience Japanese hamburgers like never before...only at Umami Hambaagu House. 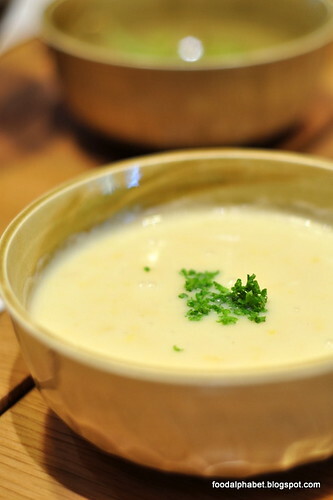 Corn soup (P120 for ala carte, P60 as an add-on for every Japanese hamburger steak order) and Edamame served hot, warms up our stomachs while we wait for the big meals coming ahead. 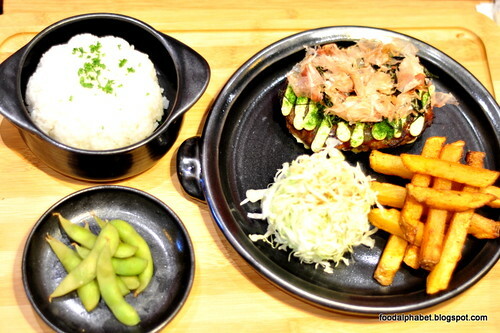 All of Umami's Hambaagu steaks come with a bowl of white rice, edamame, unlimited cabbage salad with Umami's special dressing, home-made cut fries and of course your Japanese Hambaagu steak. Now that's a lot! If you know me or have personally seen me, you may see that I'm quite a handful when it comes to food and a serving of this would easily be.. well, a piece of cake, but beleive me when I say even I had a hard time finishing this all up. How about the price? More affordable than you would think. Fancy that! 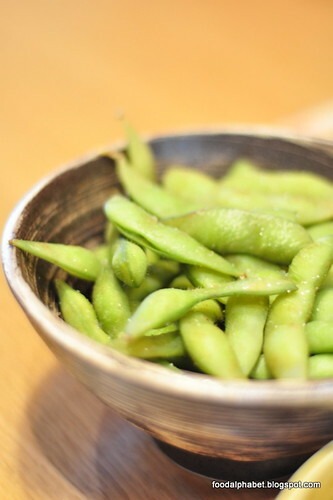 How I love Takeshi's Castle (P345), one of the best that Umami's has to offer! Topped with Bulldog sauce, bonito flakes, nori and yummy Japanese mayo, this definitely is the most Japanese burger steak. 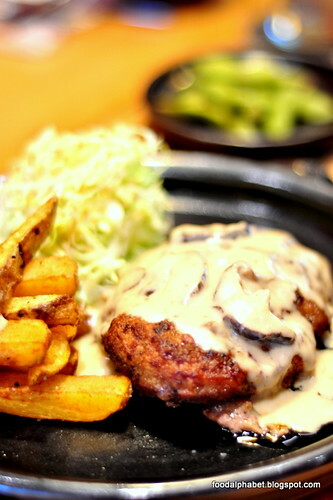 Cowboy Bushi (P350), oozing with cream sauce and shitake mushrooms to complement it's flavor, giving it a distinctly classic taste of how a burger steak should be done. 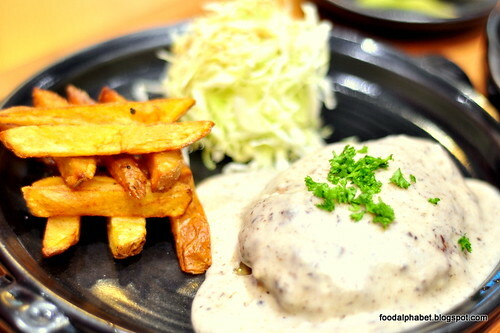 Rappongi Hills Burger (P420), a generous serving of thick truffle cream sauce make this one of the most enticing item on the menu. The smell of rich truffle cream sauce and the hot burger patty makes a smell so inviting, I was literally moving tables just to appreciate the goodness of it. It looks good on photos, they tastes even better. Battousai (P345), cream sauce topped with peppered tomatoes, every bite gives a touch of spice that is just as mild as you would want it to be. 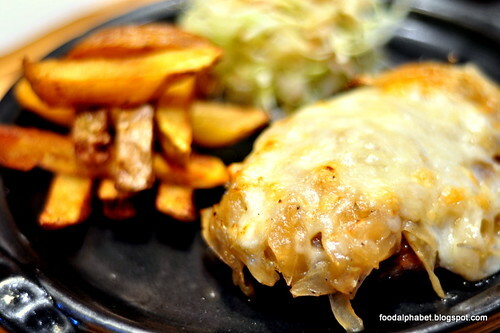 Maison du Japon (P340), topped with cream cheese and caramelized onions is one of my favorite Umami Japanese Burger Steaks. With all the basic burger options in place, you can never go wrong with every bite. 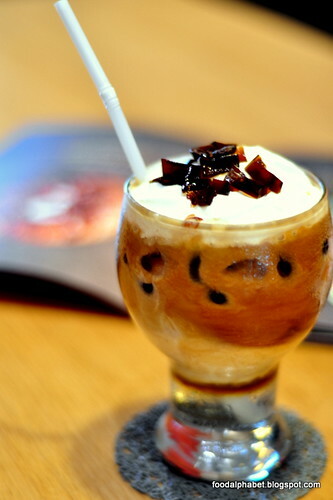 Also on the menu is their featured coffee concoctions, which are all original creations that you can only find in Umami Hambaagu House, Dancing Latte (P140), on the left, with a mild coffee blend, and a dash of coffee jelly, tasty and full of flavor, just perfect to whisk the afternoon away after a heavy Hambaagu meal, and on the right is Orange Chocolate drink (P120), with whip cream, a tad sweet but perfect for those craving to satisfy their sweet tooth. If you are more on the adventurous side, you may want to try their Deconstructed Tiramisu and be amazed at how each dip of coffee blends well to these delicious dessert treat. So now let's cut to the chase and let me tell you where you can finally have a taste of Umami Hambaagu House Japanese Steaks. They are located in .............. . So now you can get to enjoy what people are raving about. See you then! Drop me a comment if you want to know more! Thanks Yedy! Nice to see you here.